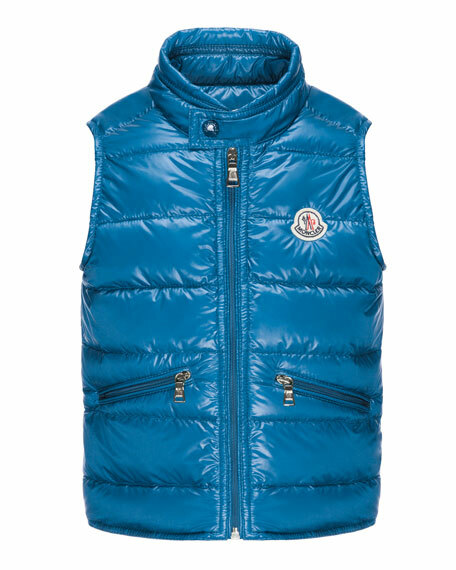 Shiny, lightweight tech fabric Moncler vest. Stand collar; zip front; snap-tab at neck. 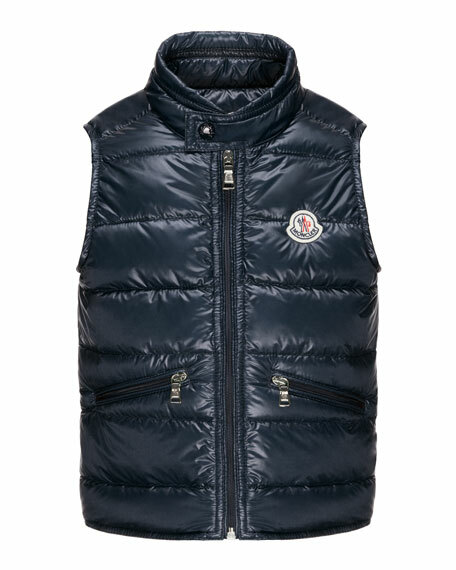 Moncler badge at left chest. For in-store inquiries, use sku #280871.